Interested in internships, postdoc or full time researcher positions? 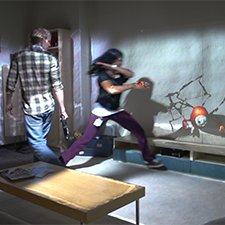 Contact me if you're interested in applying for an internship, postdoc, or full-time researcher position at Facebook Reality Labs. Internships are available year-round. The official applications and job listings are located here. I am a research science manager at Facebook Reality Labs where I lead the Computational Interaction research group focusing on novel input solutions, interaction techniques and adaptive interfaces in augmented and virtual reality. 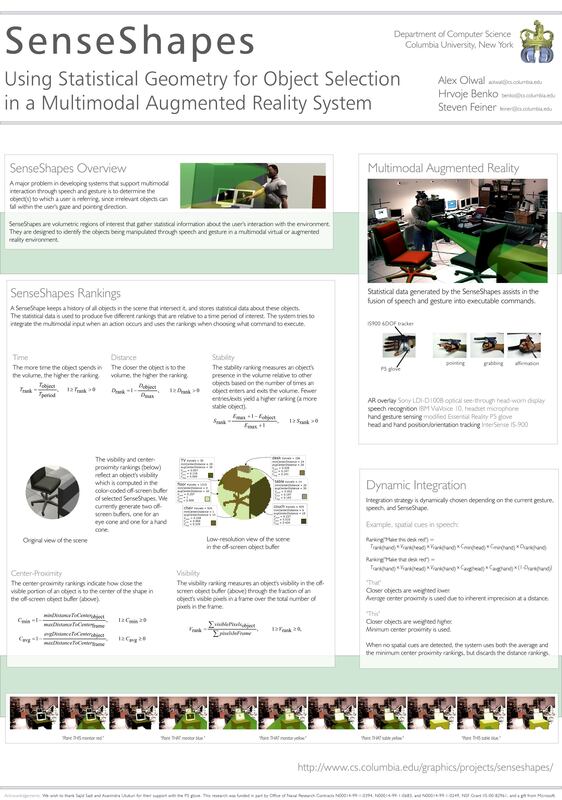 I am passionate about creating highly interactive and adaptive real-time systems that highlight the core innovations while at the same time surprising and delighting the user. 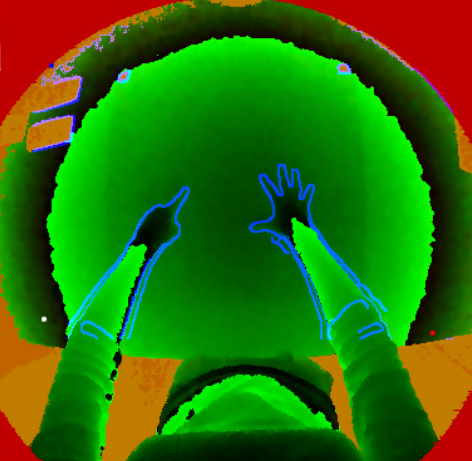 I have been active in the Human-Computer Interaction research community. I have been actively involved in the leadership of the ACM User Interface Software and Technology conference, the premier conference in the field (I was the general chair for ACM UIST 2014 and the program chair for ACM UIST 2012). I also served as the Information Director and Associate Editor for ACM TOCHI journal, the premier journal in my field. 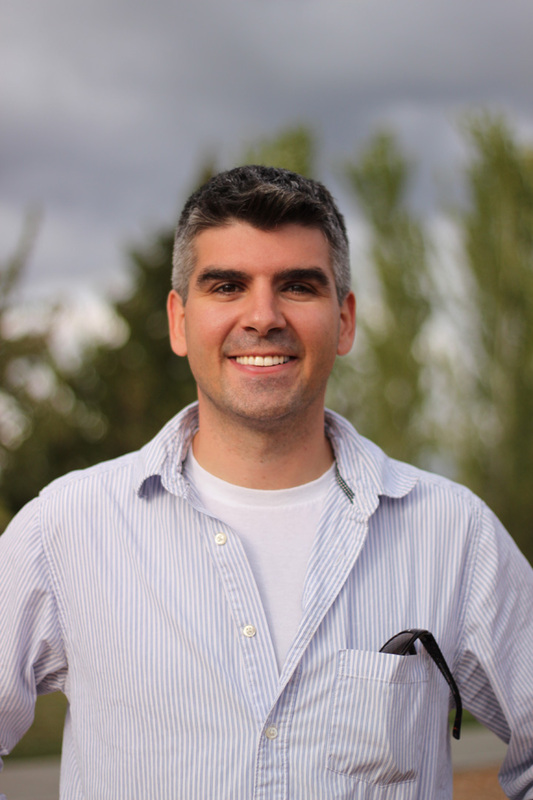 Prior to my current role, I was a senior researcher at Microsoft Research, where I have had the priviledge of working on several projects that were released as Microsoft products or as open-sourced projects, including Microsoft Touch Mouse, Windows Touch Visualizations, and RoomAlive Toolkit. 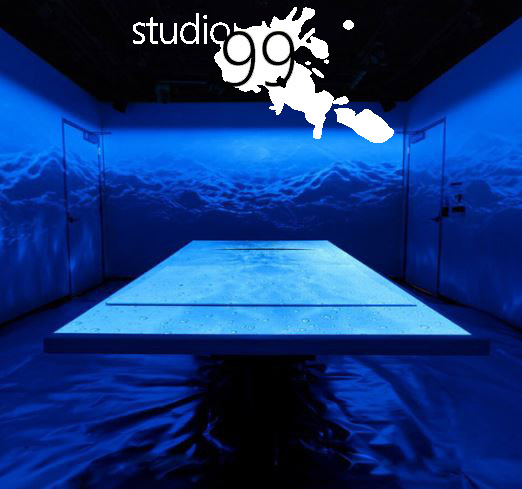 I was also one of the founders of studio99, a magical group of artists-in-residence and scientists working together to inspire new ways of thinking at Microsoft. 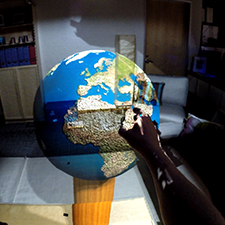 I am interested in creating experiences in AR/VR that enable people to be more than simple observers: to touch, play with and experience the world around them. 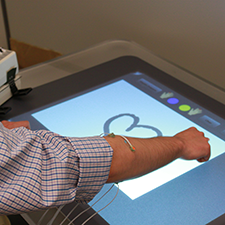 Haptics offer an interesting channel for input and output that provides a visceral and highly realistic experience. 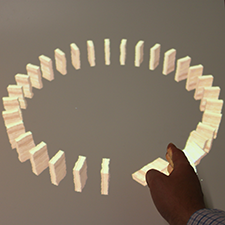 Furthermore, I am also fascinated how we can exploit some perceptual illusions to create a better interactive experience. 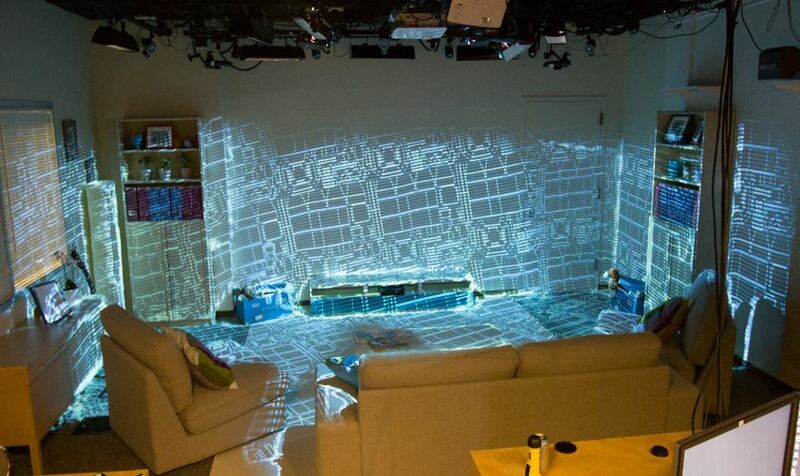 I am fascinated with the possibility of using cameras and projectors to embue the space with interactivity. 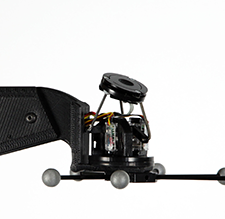 Such projector+camera combinations can enable both data visualization and interactivity without requiring the user to wear any additional gear. 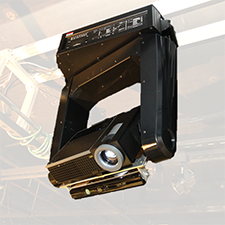 Our solutions allow for projection mapping view-dependent perspective content on top of dynamically changing background scenes. 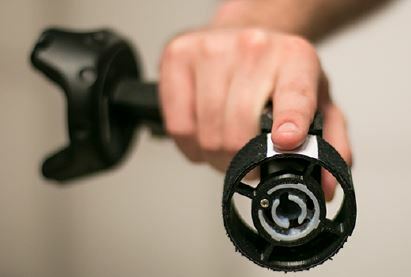 Current computer input devices are well optimized input solutions, but they often offer very limited bandwith for interacting with computers. 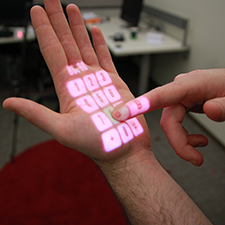 For example, very few devices really take advantage of the full dexterity of the user's hands. 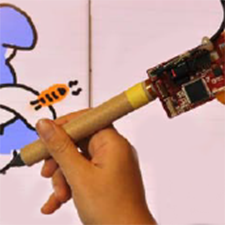 My projects have investigated extending the interaction vocabulary of several standard input devices (e.g., mice, pens, and spartphone touchscreens) through multi-touch sensing embedded on the surface of the device. 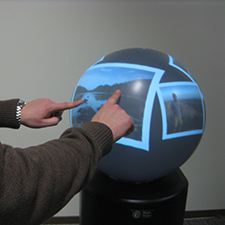 Not only are such multi-touch devices capable of both standard operation and multi-touch gestures, but they can also implicitly sense a lot of contextual information about their use (e.g., whether the user is right or left handed). 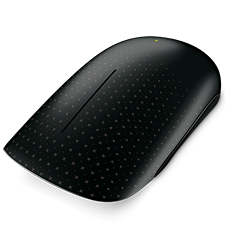 One of our ideas about multitouch mice made it from a research concept into a product (Microsoft Touch Mouse). 2019 Samad, M., Gatti, E., Hermes, A., Benko, H., and Parise, C. (2019). 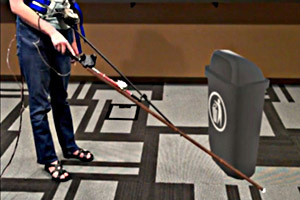 Pseudo-HapticWeight: Changing the Perceived Weight of Virtual Objects By Manipulating Control-Display Ratio . In Proceedings of ACM CHI 2019. 2018 Strasnick, E., Holz, C., Ofek, E., Sinclair, M. and Benko, H. (2018). 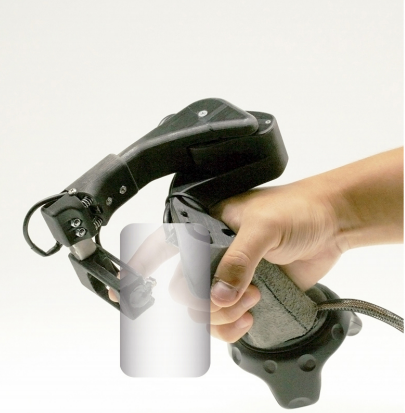 Haptic Links: Bimanual Haptics for Virtual Reality Using Variable Stiffness Actuation. In Proc. of ACM CHI '18. Whitmire, E., Benko, H., Holz, C., Ofek, E. and Sinclair, M. (2018). 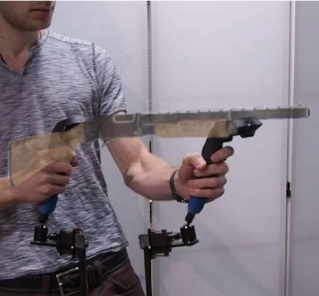 Haptic Revolver: Touch, Shear, Texture, and Shape Rendering on a Reconfigurable Virtual Reality Controller. In Proc. of ACM CHI '18. 2017 Andreas Rene Fender, Hrvoje Benko, and Andrew Wilson. (2017). 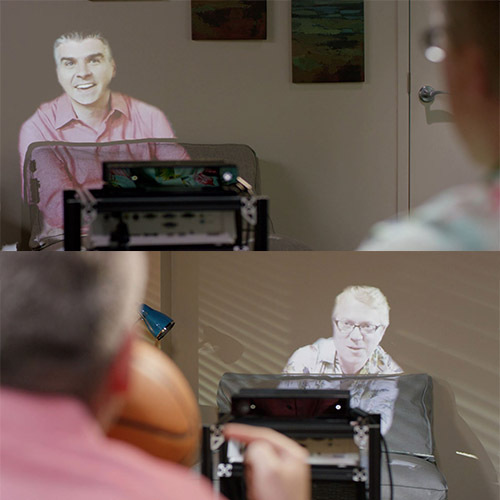 MeetAlive: Room-Scale Omni-Directional Display System for Multi-User Content and Control Sharing. In Proc. 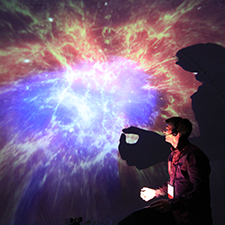 of ACM Interactive Surfaces and Spaces (ISS) 2017. Lu, J., Benko, H., and Wilson, A. (2017). Hybrid HFR Depth: Fusing Commodity Depth and Color Cameras to Achieve High Frame Rate, Low Latency Depth Camera Interactions. In Proc. of ACM CHI 2017. 2016 Hrvoje Benko, Christian Holz, Mike Sinclair, and Eyal Ofek. (2016). 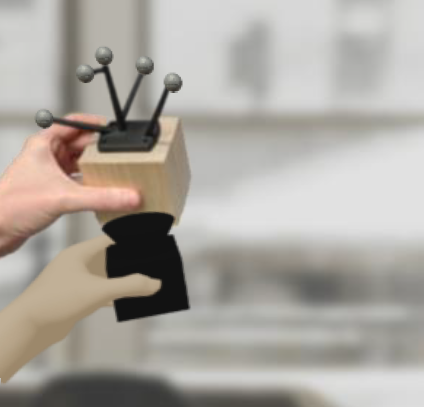 NormalTouch and TextureTouch: High-fidelity 3D Haptic Shape Rendering on Handheld Virtual Reality Controllers. In Proc. of ACM UIST 2016. Robert Xiao and Hrvoje Benko. (2016). 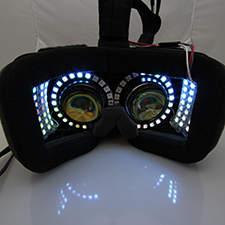 Augmenting the Field-of-View of Head-Mounted Displays with Sparse Peripheral Displays. In Proc. of ACM CHI 2016. Mahdi Azmandian, Mark Hancock, Hrvoje Benko, Eyal Ofek, and Andrew Wilson. (2016). 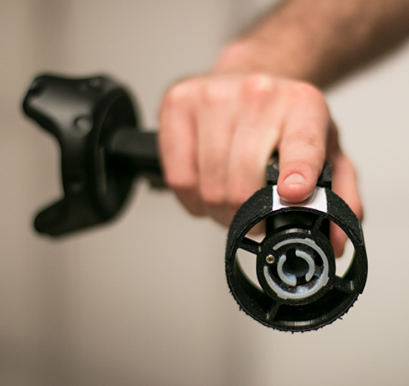 Haptic Retargeting: Dynamic Repurposing of Passive Haptics for Enhanced Virtual Reality Experiences. In Proc. of ACM CHI 2016. Tomislav Pejsa, Julian Kantor, Hrvoje Benko, Eyal Ofek, and Andy Wilson. (2016). 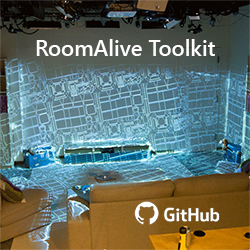 Room2Room: Enabling Life-Size Telepresence in a Projected Augmented Reality Environment. In Proc. of ACM Conference on Computer Supported Cooperative Work (CSCW 2016). Wilson, A.D. and Benko, H. Special Issue Guest Editors (2014). 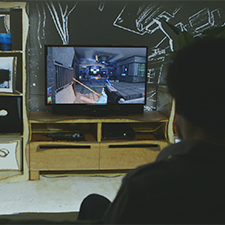 Interacting Above and Beyond the Display. IEEE Computer Graphics and Applications, 34:3, May-June. 20-21. Hinckley, K., Pahud, M., Benko, H., Irani, P., Gavriliu, M., Guimbretiere, F., Chen, X., Matulic, F., Buxton, W., Wilson, A. D. (2014). 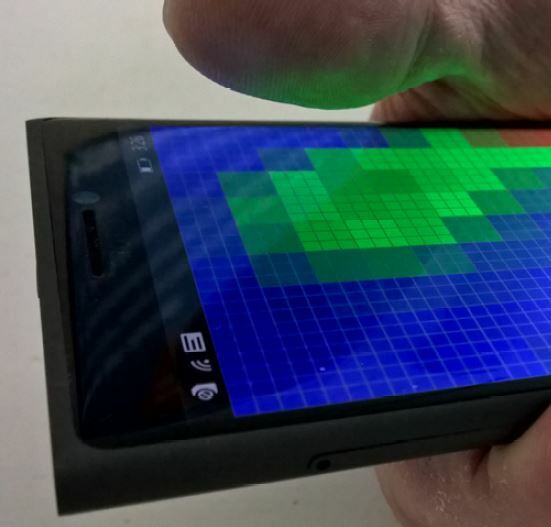 Sensing Techniques for Tablet+Stylus Interaction. In Proc. of ACM UIST 2014. 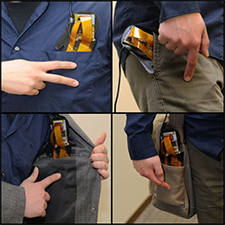 2013 Sinclair, M., Pahud, M. and Benko, H. (2013). 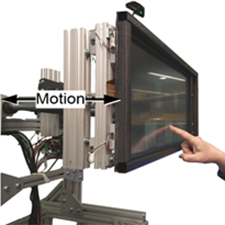 TouchMover: Actuated 3D Touchscreen with Haptic Feedback. In Proc. 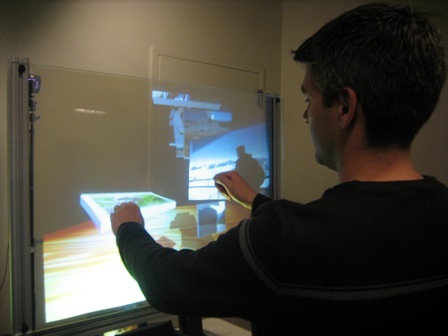 of ACM Interactive Tabletops and Surfaces (ITS 2013). Jones, B., Benko, H., Ofek, E., and Wilson, A. D. (2013). 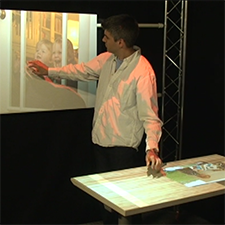 IllumiRoom: Peripheral Projected Illusions for Interactive Experiences. In Proc. of ACM CHI 2013. Holman, D., Girouard, A., Benko, H., and Vertegaal, R. (2013). The Design of Organic User Interfaces: Shape, Sketching and Hypercontext. Interacting with Computers, Oxford Journals. 25(2): 133-142. Steinicke, F., Benko, H., Daiber, F., Keefe, D.F., and de la Rivière, J.-B. Special Issue Guest Editors (2013). Foreword to the special section on touching the 3rd dimension. Computers & Graphics. 37(3). Sodhi, R., Benko, H., and Wilson, A. D. (2012). 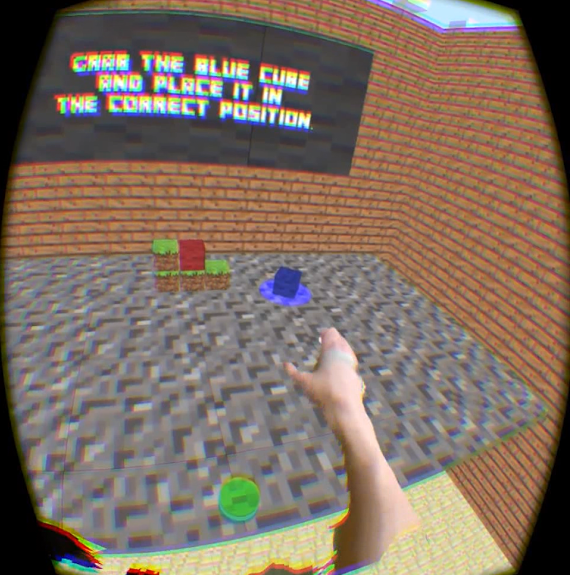 LightGuide: Projected Visualizations for Hand Movement Guidance. In Proc. of ACM CHI 2012. p. 179-188. Villar, N., Izadi, S., Rosenfeld, D., Benko, H., Helmes, J., Westhues, J., Hodges, S., Butler, A., Ofek, E., Cao, X., and Chen, B. (2009). 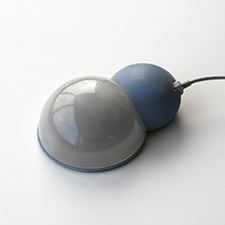 Mouse 2.0: Multi-touch Meets the Mouse. In Proceedings of ACM User Interface Software and Technology (UIST '09). p. 33-42. 2011 Pandžić, I. S., Peja, T., Matković, K., Benko, H., Čereković, A., Matijaević, M. (2011). 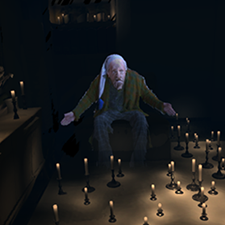 Virtualna Okruženja: Interaktivna 3D grafika i njene primjene. (In Croatian, translated title: Virtual Environments: Interactive 3D graphics and applications). ISBN: 978-953-197-606-0. Element d.o.o., Zagreb, September 2011. 2002 Feiner, S. Bell, B., Benko, H., Blasko, G., Güven, S., Hallaway, D., Höllerer, T., and Lok, S. (2002). 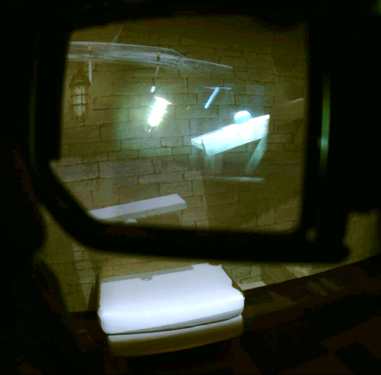 Mobile Augmented Reality Systems. Living with the Genie: Governing Scientific and Technological Transformation in the 21st Century. New York, NY. March 5-7. 2018 Benko, H. The ABC of MR Interactions. Keynote at IEEE ISMAR 2018. Munich, Germany.